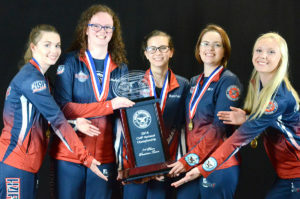 State Three-Position Air Rifle Junior Olympic Championships are shoulder-to-shoulder matches held on the local level. Participation in these matches can earn athletes the opportunity to compete at the National 3PAR Championships. The National 3PAR Championship is a combined event with the National 3PAR Junior Olympic Championship and the CMP National Championship, held annually during the summer months. Match sponsors can sanction a 3PAR State Junior Olympic Championship by following the match guidelines and submitting a match application. These state matches can be held in more than one location in each state. The National 3PAR Junior Olympic Championships were originally conducted by USA Shooting and held at the Tom Lowe Shooting Center in Atlanta, Georgia, site of the 1996 Olympics Games. The matches moved to Bowling Green, Kentucky and were held back to back with the Daisy Air Championships. The CMP became more involved in 2008, the first year that the match was hosted by CMP. CMP now conducts these matches in partnership with USA Shooting. These matches are conducted at the Gary Anderson CMP Marksmanship Center located in Camp Perry, Ohio. In 2012, the CMP combined the National 3PAR Junior Olympic Championship with the CMP 3PAR National. From these state matches, approximately 27 teams and 20 individuals in each class will be invited to the National 3PAR Championships. The first selection will be from those teams/individuals firing above the automatic invitation scores. If less than 27 teams reach these scores, additional at-large invites will be selected from the next highest-scoring teams/individuals. More information about this event, including a list of qualifiers, program and confirmation from, can be found on the National 3PAR Championship page. To find an upcoming State 3PAR Junior Olympic Match, please visit: http://ct.thecmp.org/app/v1/index.php?do=matchRegistrationListUpcoming.